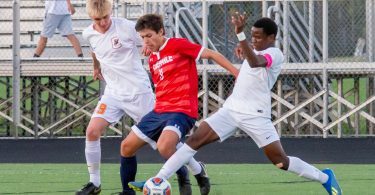 Whenever Albemarle and Charlottesville boys soccer lock up, it’s going to be a physical clash between a pair of teams with a lot of pride and a lot of success. Both teams have played for state titles in the last couple of seasons and there’s a lot of club team crossover at play too, with seemingly everyone on each roster knowing everyone else. When you know that’s the case going in, it helps to have experienced players who can handle what immediately becomes a pressure cooker, and Charlottesville’s Ayat Mohamed did his best to handle that environment, eventually coming up with the game-winner in a 3-1 victory over the Patriots. Mohamed’s game-winner came with just under 20 minutes to play was a physical gutty goal, and wasn’t without some controversy. 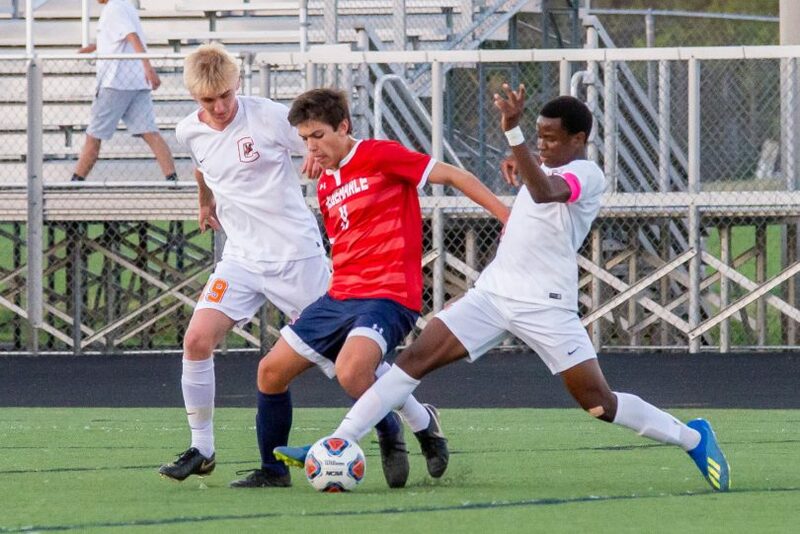 There was a lot of contact on the play in the box before Mohamed’s snuck it through, setting off a lot of celebration for a Black Knights’ squad that endured a pair of losses to the Patriots last season during Albemarle’s state title run. With eight minutes left, Malcolm Brickhouse tacked on a third goal to put Charlottesville up 3-1 and put the game away. Nate Fisher had already made several key saves to keep Albemare away from the equalizer, and the Charlottesville defense did a good job of hemming in Albemarle’s speedy forwards. “We kept our heads high, battled through and believed in each other,” Brickhouse said. The Black Knights struck first and did it early with an Aidan Folger header off a Brickhouse cross in the first three minutes of the game. 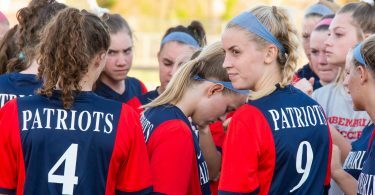 The Patriots eventually answered with Brandon Mahon breaking through to make it 1-1 shortly before halftime, and the game was evenly matched throughout, setting the stage for potentially another classic in the second meeting. “Albemarle is a tough team, we played well, we played tough and we came out with a good result,” Braun said.